Freelancing. Just because it contains the word ‘free’, people think the service should be free. But what many don’t understand is whether someone is writing a 165-character product description, 300-word blog, or a two-page article; writing content takes time and creativity. 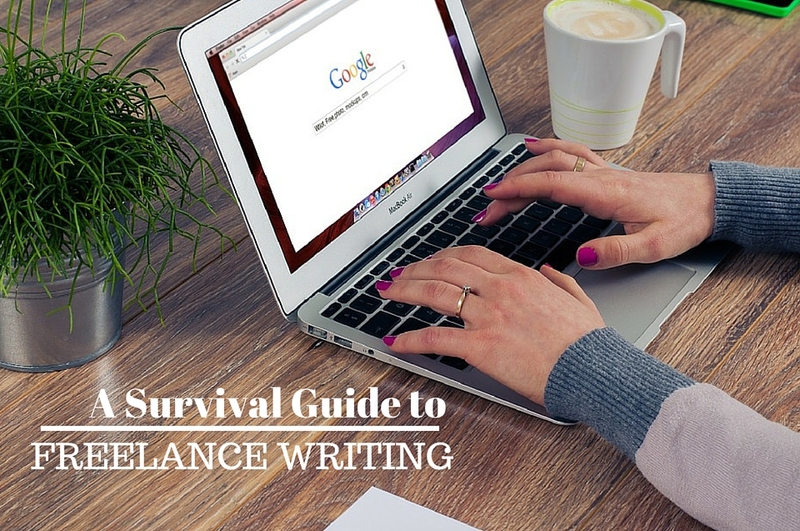 Writers don’t just sit on their keyboard and punch the keys randomly. Writing is a process. First comes the brainstorming then research, then the writing begins - write, delete, write some more, delete some more, write, write, write, proofread, complete, read and send to client. Sometimes it may take less than an hour and sometimes it may take a whole day to write just half a page (not necessarily writer’s block more likely boring topic). For those who are thinking of quitting freelancing, don’t. Whether you are doing it on the side of your main job or doing it fulltime, here are few freelancer tips and tricks that will help you get the most out of freelancing. Many freelancers are not sure what rate to charge – charge by word, page, or hour? Choosing any one of these options are okay. In US, UK and Australia most freelance content writers charge by the hour. In India, only senior writers (whose name contains more weight than their work) charge by the hour. If you are new to the freelancing game then think of charging by word or page (INR 1.50-3.00 per word depending on the quality, speed and your negotiating skills). Stay away from the INR 80 for 500 word articles. This kind of peanut compensation will just demotivate you as a writer. If you’ve just landed a plum project, don’t start work without signing a contract. Make sure the contract has the quantity and type of content work specified (example: 10 blogs, 30 social media posts a day…) PLEASE don’t feel shy or embarrassed to ask to sign an agreement. A contract will ensure your interests are protected. If it’s just a one time task, then make sure you charge a 50% advance before starting work. No matter how amazing the client seems, things can suddenly turn sour. Taking an advance ensures that you get something out of the project if your client suddenly plays dirty. Most clients will want to see your work before they can sign you on. If you haven’t created your freelancing portfolio, then write a few 300-500 word blogs on the kind of work the company you are applying to does (if its IT, something on cloud computing; travel, a fun piece on destinations…) or check which topics are trending and write a blog on that. Start keeping your database ready. Does your online persona have presence? Thanks to the Internet, you can track companies that are looking to hire freelancers. But remember they can track you too. So if you use your social media platform to just like your friend’s Goa pictures, comment on silly videos, sign petitions, post offensive tweets or troll celebrities, they are not going to take you seriously as a writer. Make sure you have a blog space and that you update it regularly. Every time a freelancing gig is posted on a social media site, your impressive resume and samples should be one of the first contenders in the client’s inbox. Is a client meeting really necessary? He/she understands that you are only looking for a freelance position. Many freelancers have landed up for interviews only to be told that the position is full time one or they would be required to come twice or thrice a week to the office. A colossal waste of time for the freelancer. If you aren’t able to go for a face to face because of a busy work schedule, cajole them into conducting the interview on Skype. If they agree, make sure you are logged on and ready with a few minutes to spare. There are times when I absolutely love being a freelance content writer. I get to choose the kind of content I want to work on (top of my list – travel, inspirational, entertainment, and professional tips). I get to select my work timings - the crack of dawn or the graveyard shift. My compensation has been good not pretty. And my most favourite part, I can satisfy most of my holiday cravings. A good project equals travel to an international destination, the not so good months, a trip to nowhere. I have made freelancing work for me. For every 10 lousy clients, I have found two or three really good ones. It has allowed me to grow as a writer and I have written on tons of topics – home automation, hair care, magnetic bracelets, online trading, travel and tourism, HR compensation, and auto care. If you had a few bad experiences, don’t give up. Work smarter and ensure that your interests are always protected. If you can make freelancing work for you, then you get to enjoy the cake, the icing and the cherry on top too.